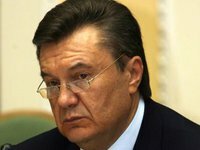 The Freedom House international human rights organization has calls on Ukrainian President Viktor Yanukovych to reject the adopted legislation, which would violate Ukraine's commitments to uphold universal human rights. "Freedom House strongly condemns the approval by Ukraine's Rada (parliament) of legislation that criminalizes libel, imposes Russian-style 'foreign agent' restrictions on civil society groups receiving foreign funding, and punishes civic participation in protests," the organization said in a statement published on its Web site. "It is disheartening to watch the democratically elected government of Ukraine moving further away from the democratic aspirations of the people of Ukraine," Freedom House President David J. Kramer said.